How are beaches in St Petersburg new Finnish gulf? Are there areas available for swimming? Are there also sports like skiing, etc there? How are beaches in St Petersburg in comparison with Moscow? 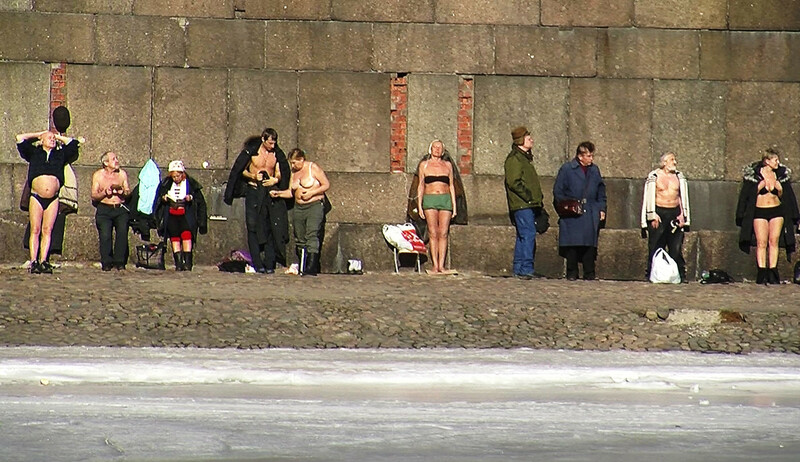 city beachs: most famous one is near the Petro-Pavloskaya fortress, people are getting the sun baths from February. other ones are located accross the city parks and recreation zones, such as Krestovsky ostrov and Central Culture and Rest Park. For such beachs you can only get some rest on the sun, without swimming. Beaches are relatively small. outdoor beaches. Such beaches are all accross the Finnish Gulf and lakes and rivers system also known as Vuoksi river and lake. Such beaches are numerous and, in general, aren't clean, but wild, and this is the best fit for a company, not for the individual. One of the most popular (and most organized) is Kavgolovo (link in Russian), but it's very crowded there. As about the swimming, it's for certain prohibited to swim in Neva, and nearly all of the lakes and rivers are prohibited to swim into. Lakes and rivers available for swim are listed on the officials sites and some media sites (link in Russian). Small lakes inside the forest are, in general, safe to swim, if you are cautios and are exploring the lake before the swimming. If you want to simply walk around the water, you can go to the Peterhof or some other small cities near the St. Petersburg. Best place aviable to swimming there - common pools :-) . In Moscow summmer people usualy go away from Moscow city ( more than 100-150 km) for beach on river. In city no beaches at all ( a really bad). Not the answer you're looking for? Browse other questions tagged russia moscow saint-petersburg summer or ask your own question. How to participate in sports-like recreational activities in Russia at local prices?